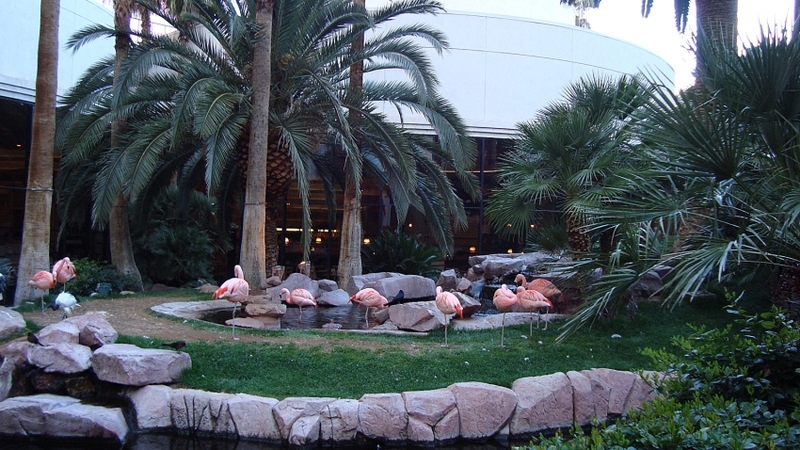 Located on a lush 15-acre (six-hectare) landscape at the Flamingo Hotel & Casino, this wildlife habitat is home to exotic birds, fish and turtles, rare to find in the Nevada desert. Surrounded by waterfalls and breathtaking flora, explore ponds filled with koi fish and turtles, and islands dotted with pelicans, ducks and swans. The flamingo island, home to a flamboyant flock of pink flamingos is especially popular. This attraction promises an enjoyable time for the whole family. Admission is free.